Prepare for your Everything DiSC personality test with JobTestPrep. 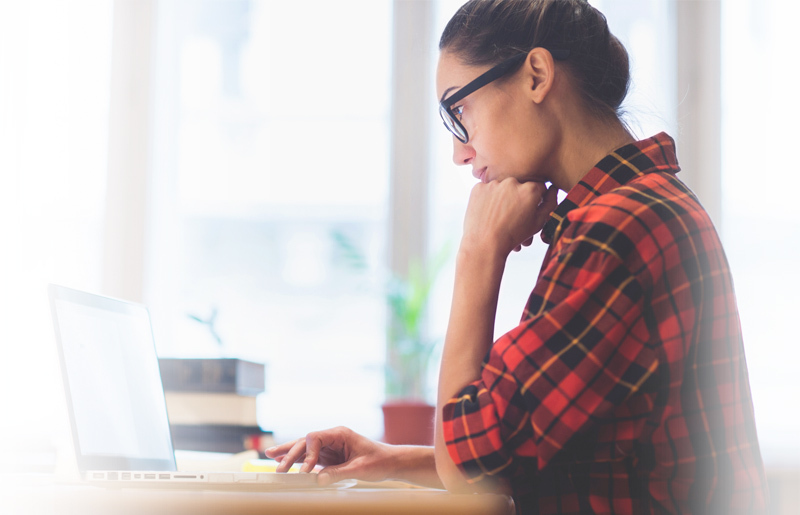 Practicing for the Everything DiSC personality test will help you learn more about your personality traits and reduce stress ahead of exam day. Start preparing with JobTestPrep today. Everything DiSC is a personality assessment. It helps you understand yourself and others. 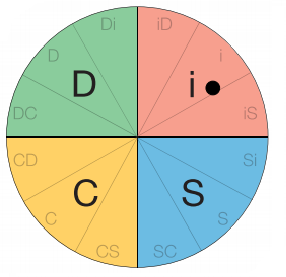 DiSC is a very simple model made up of four basic styles: D (Dominance), i (influence), S (Steadiness), and C (Conscientiousness). 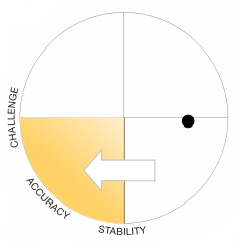 You can read about the DiSC personality test. 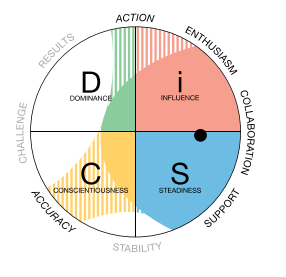 All of Everything DiSC personality assessments are application-focused, so the feedback is presented to you as a leader, manager, individual contributor, or salesperson. Everything DiSC provides a common language to help teams understand one another and work better together. It improves employee and workplace communication. It also helps you to understand people who aren’t like you or are too much like you, and it can help to reduce conflict and avoid misunderstandings. Everything DiSC provides six different assessment reports to help you understand yourself and other people. Their solutions help companies build more effective working relationships based on an understanding of different behavioral styles. Everything DiSC Workplace® is used by organizations to improve the quality of the workplace. It focuses on discovering and understanding your DiSC style along with other styles, as well as on building more effective relationships. Everything DiSC® Management teaches mangers how to bring out the best in their employees. It focuses on your DiSC management style, directing and delegating abilities, improving employee motivation and development, and how to work with your manager. Everything DiSC Work of Leaders® connects leadership styles to real-world demands. Everything DiSC Work of Leaders approaches leadership as a one-to-many relationship. It focuses on tangible steps directed at leading a group or organization toward desired outcomes. Work of Leaders encourages leaders to understand their own leadership styles and how they impact their effectiveness. Everything DiSC® Sales teaches salespeople how to connect better with their customers. It focuses on understanding your DiSC sales style, recognizing and understanding customer buying styles, and adapting your sales style to your customer’s buying style. Everything DiSC 363® for Leaders combines the best of 360s with the simplicity and power of DiSC. It also includes three personalized strategies for improving leadership effectiveness. The DiSC Classic Facilitation System offers flexibility in crafting solutions for a variety of organizational needs. It focuses on better communication in the workplace, conflict prevention and resolution, increasing sales, interpersonal management, management, and team building. Each DiSC report is different from one another. Overall, the DiSC report is personalized. It shows you "Your Dot," i.e. where you fall on the DiSC circle. Your dot location shows your DiSC style. You also receive a page-long description of your style, describing your tendencies and how you may behave in certain situations. Your report also discusses your shading, which expands on your personality. Depending on the type of report you requested, it will go into depth about your motivators, stressors, strengths and weaknesses, and advantages and disadvantages. The report may also show how you relate to people with a different style as well as all the different styles. Everything DiSC provides multiple solutions to help companies and employees better understand themselves. Practicing for the DiSC personality test in advance will ensure you are prepared for the assessment. JobTestPrep offers a personality test with reports and study guides so that you can get an even better understanding of your results. Everything DiSC and other trademarks are the property of their respective trademark holders. None of the trademark holders are affiliated with JobTestPrep or this website.